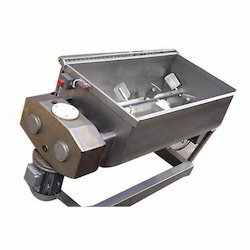 We introduce ourselves as leading organizations in offering 30 Degree Mixing Element. 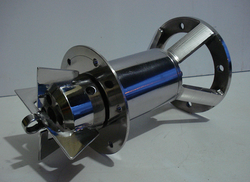 Our company is engaged in the manufacturing of mixer for pharmaceutical industry. It is basically a powder mixer, which is used in the pharmaceutical industry for mixing up the different powders so that they can be further processed. Our range of mixer is a primary powder mixer, thus giving solutions to many industries. We are well known for providing a vast array of Pre Mixer to the customers. These products are available in customized specifications and at market leading prices. Designed in line with global standards, these products are widely demanded in several industries. We are involved in offering an extensive range of CLC Block Vertical Mixer. Also, our patrons can avail this product from us at nominal rates.